Quang Nam tourism is not only has the world heritage Hoi An ancient town and My Son Sanctuary ... But also possesses a lot of beautiful beaches, eco-tourism areas and tourist attractions that attract visitors come to explore. Join Origin Vietnam to discover "all things" of tourist destinations in Quang Nam to have an experience trip! 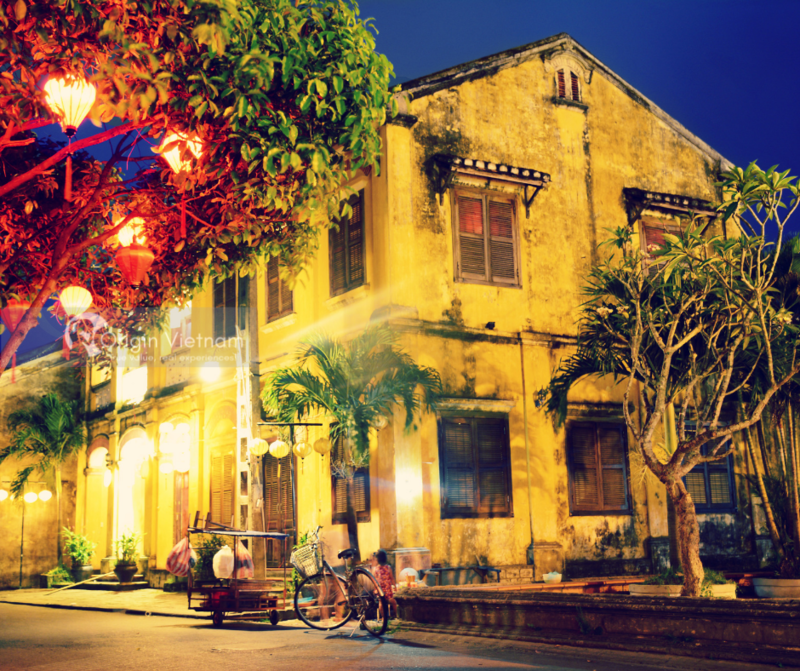 Hoi An Ancient Town is definitely a tourist destination that cannot be stopped during the exploration of Quang Nam. Hoi An is one of two World Cultural Heritages of Quang Nam province with cultural values ​​and ancient architecture preserved intact over the years. You will feel extremely relaxed and peaceful when walking on the streets with ancient walls with two sides of beautiful small-roofed houses with special interfering architecture and bright purple lenticular corners. Come here, do not forget to visit Hoi An the Cau Pagoda. It's one of the most highlight of Hoi An. Beside that take the boat trip through the romantic Hoai River and immerse in the colorful space of colorful lanterns. My Son Sanctuary is a pride of Quang Nam people. Recognized as a World Cultural Heritage Site. It's possesses more than 70 ancient towers of Cham architecture built in the 4th century. In which, 20 temple towers still preserve the original wild beauty. Such as My Son tower, Bang An tower, Khuong My tower, ... You will have to admire the harmonious combination of extremely delicate patterns and details on fired brick walls, creating architectural marvels extremely unique of an ancient Champa culture. Tam Thanh mural village is located in Tam Thanh commune, Quang Nam. Lost in Tam Thanh mural village. Come here, you seem to be lost in the magical shimmering land. Hundreds of old simple houses of fishermen here dressed in colorful "new shirts" created by skillful hands of Korean painters. Each picture is a true story about the life of Tam Thanh people, bringing an extremely interesting and close experience to visitors. 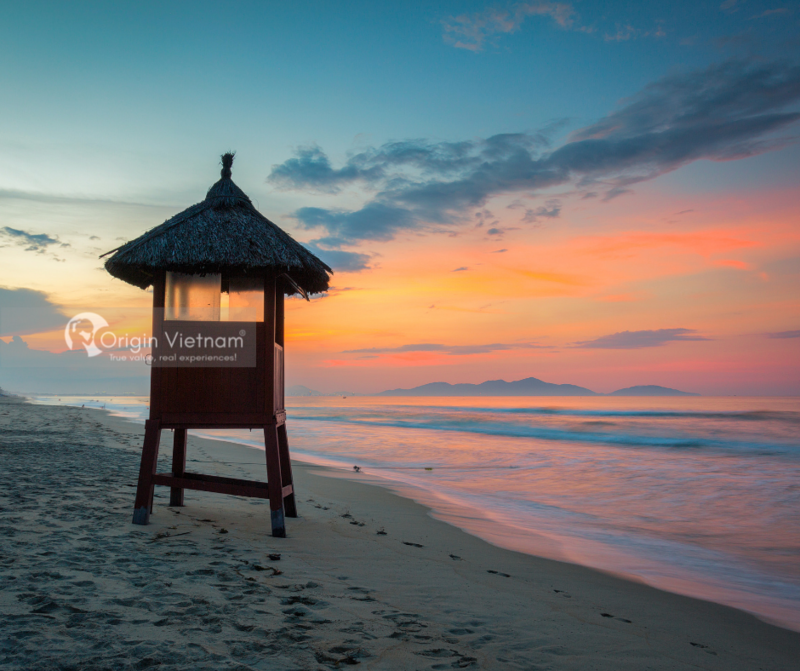 With a long coastline, Quang Nam also owns many beautiful shimmering beaches. Among them, Cua Dai beach is one of the most attractive beaches with blue water in the smooth white sandy beach. Elected in the top 25 most beautiful beaches in Asia. An Bang beach attracts tourists by the clear sea and bright sandy beaches under the golden sunshine. Discover An Bang beach, you will feel extremely refreshed and relax in a quiet and peaceful space. If Cua Dai beach is always bustling and vibrant, An Bang beach is peaceful and harmonious. But Ha My beachis a new beach, extremely wild and deserted with many characteristics of Central waters. 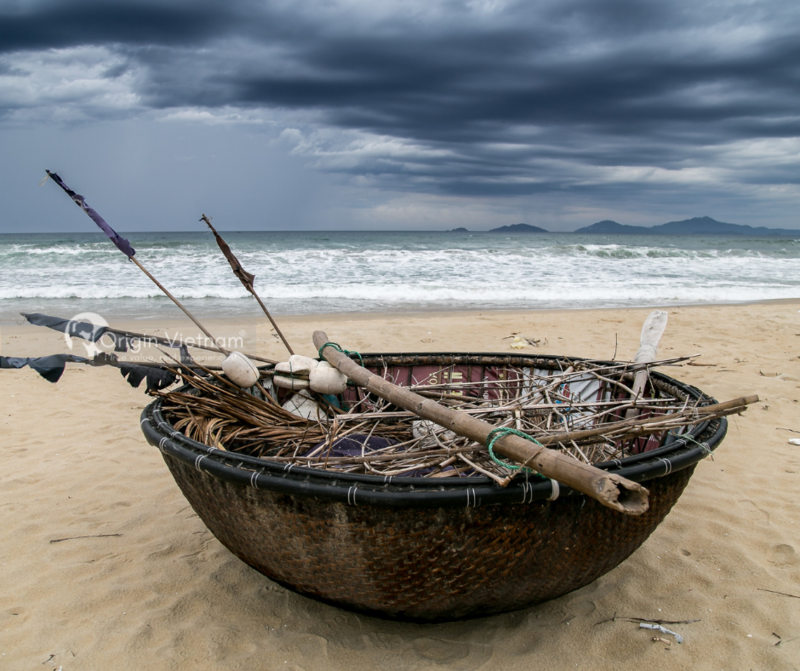 Ha My Beach is sure to be a new tourist destination you can't miss during the exciting trip to Quang Nam. 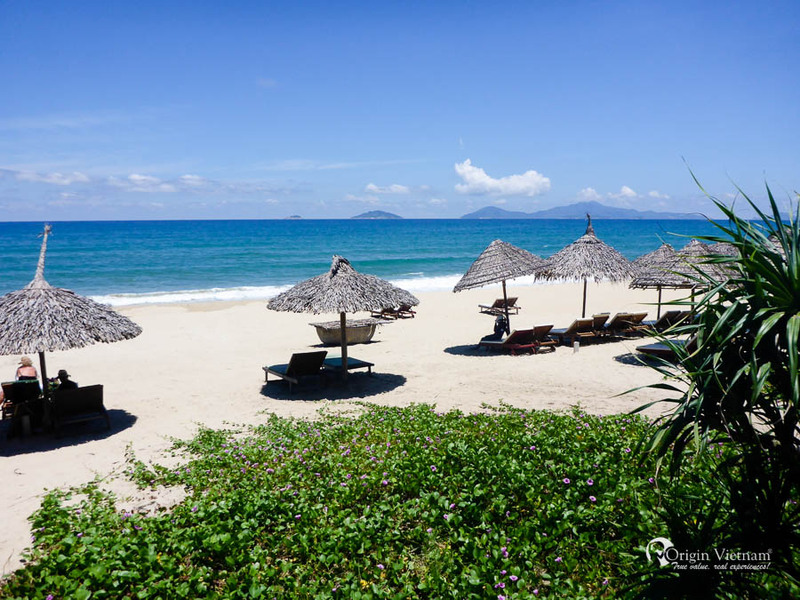 Bai Rang is an ideal place to think to relax and freshen up with long pristine rocky beaches, strong waves crashing into the white shore in a vast majestic sky angle. Step into the smooth sandy beaches and check out the mysterious reefs created by miraculous nature and release your soul in the waves of melodious waves. Bang Than - Vung An Hoa is a "masterpiece from black stone". You should not miss when coming to Quang Nam land. The layers of pure black stone like coal stretched, stacked on top of each other and were naturally eroded by seawater into fancy shapes like unique sculptures of creation. When coming to Bang Than - Quang Nam, you will surely be surprised by the extremely majestic natural scenery. Kem Islet attracts tourists by its vast nature and poetic and charming mountain and landscape. Coming to Kem Islet, you will admire the natural scenery in harmony with the two high rocky mountains towering between the immense river. The distance to the eyes is the lush strawberry beaches and cobbles, creating a feeling of a peaceful countryside. Giang Thom Lake is a complex consisting of various large and small lakes with floating rocks and has 11 meters of ten-meter cascades with dripping water year-round throughout the month. Surrounding the lake is surrounded by green forests, giving visitors a feeling of freshness, freshness and coolness, dispelling fatigue of noisy urban life. Nestled among the high hills and leafy forests. Grang waterfall is a beautiful water tower that attracts many tourists when coming to Quang Nam. Grang Waterfall brings an unspoiled, wild and poetic beauty of a series of soft, flowing silky waterfalls between rugged and rugged rocky rapids. Located at an altitude of nearly 882m above sea level, Khe Lim possesses a unique and majestic natural beauty. Not only is there a majestic stream pouring down the mountain all year round, Khe Lim also has large and small rocks covered by moss green, creating a scene of drunken hearts. Come to Quang Nam, discover Khe Lim wild and take a dip in the cool spring water, dispel the hot and humid central summer days. Only 7km from the center of Tam Ky city, Ho Phu Ninh is an attractive eco-tourist destination of Quang Nam province. With a cool climate, large primeval forest and more than 20 large islands and natural mineral water mines. Come here you will be immersed in the cool green nature and join many exciting outdoor games and activities. This is undoubtedly an ideal eco-resort site that you should not miss during your Quang Nam trip. With fresh air and majestic natural scenery, Suoi Tien is chosen by many tourists as a sightseeing spot when traveling to Quang Nam. With a system of more than 14 waterfalls flowing into green forests and a large cool pond. Suoi Tien is like a rare place to escape from urban noise. It is a tourist destination not to be missed for travelers who love to explore. With untouched beauty such as "forgotten Jurassic park", Tien An Bat Cave has mysterious caves with many stone blocks bearing many interesting shapes among luxuriant groves, bringing a sense of static and mysterious. Dong Giang tea hill will definitely be a place you should not miss if you want to own beautiful pictures on a cool green background. Come here, you will enjoy the fresh space, inhale the aroma of fragrant, passionate, soothing tea and admire the tea hills stretching headline. 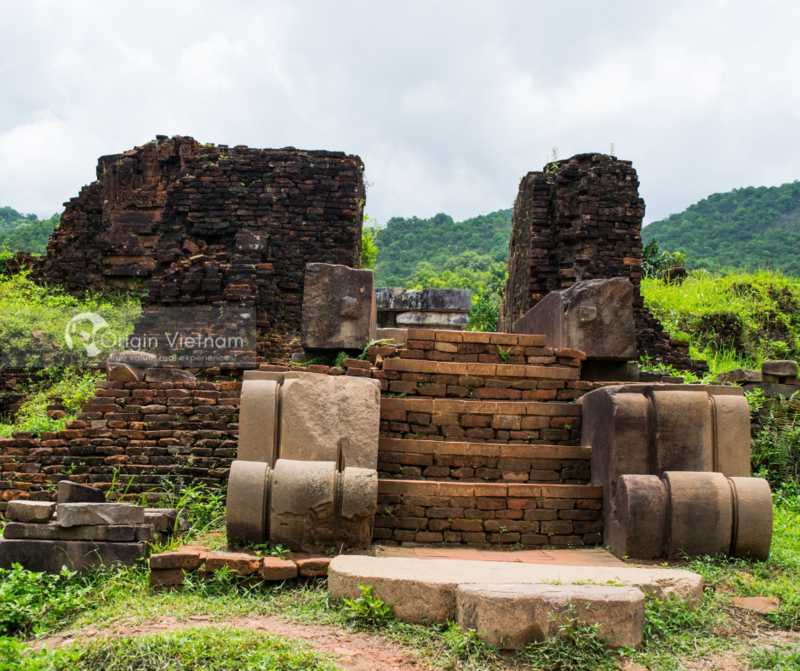 Quang Nam has not only natural and cultural tourist sites but also fascinating historical sites. Among them, being built in Tam Phu commune, Tam Ky city with the largest scale in Southeast Asia, Mother's monument is a monument to the heroic Vietnamese mother Nguyen Thi Thu. Statues made of marble carved in the shape of a Mother are opening and embracing the children of the country. Quang Nam tourism cannot help but mention traditional villages. Thanh Ha pottery village is a place where you can see the sophisticated fine art ceramic products made from skillful hands and talented people of Thanh Ha artists. In addition, you can also make your own products to make memories or bring back to your relatives and friends. It's only 4km from Hoi An ancient town, Tra Que is a traditional vegetable growing village. Visiting Tra Que vegetable village, you will try to grow vegetables as a real farmer. In addition, you will also learn how to prepare delicious dishes from the typical vegetables of the village. This will definitely be a real experience that you can't forget! Hopefully with the list of 20 Quang Nam tourist destinations of ORIGINVIETNAM.COM, you will arrange for yourself a memorable trip!